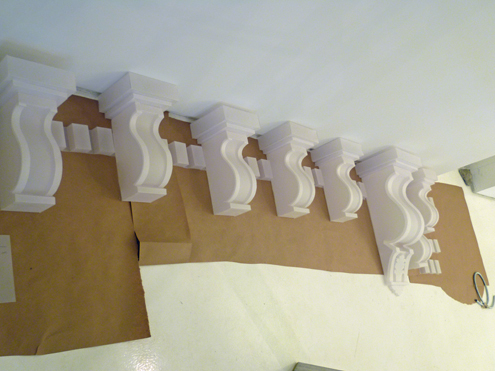 Sections of the cornice, about to be assembled and installed. 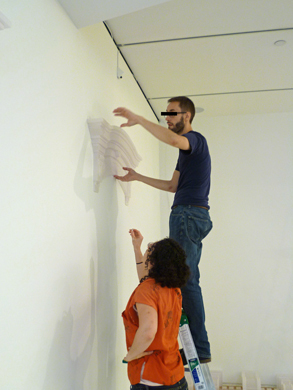 Rob and Sonya delicately hang a window pediment. 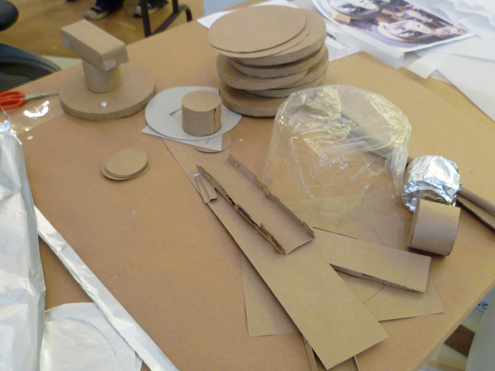 Our super-helper, Graham, makes some very accurate measurements. 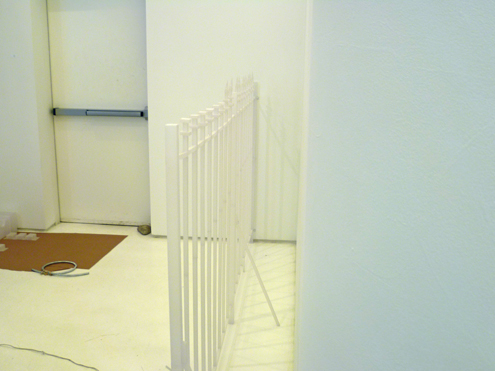 An all-vellum fence is already completed and standing. 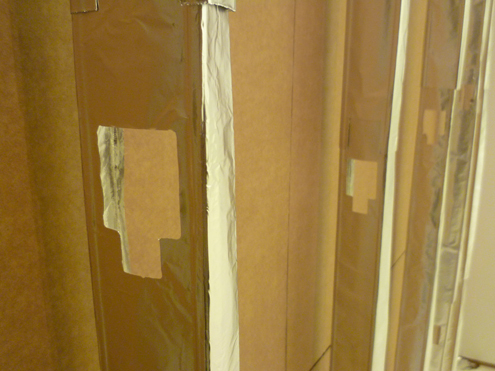 Detail shot of the "metal studs" made from aluminum foil. 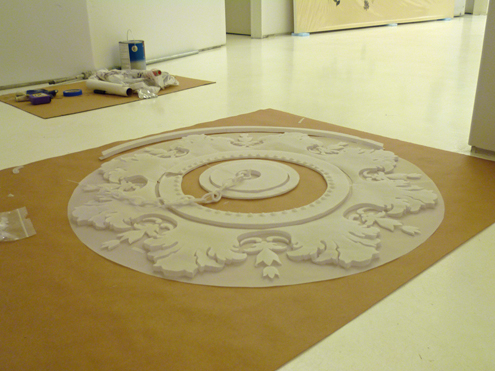 An all-vellum decorative ceiling medallion, ready to be installed on our ceiling. Be sure to join us this coming Thursday night, 6-8pm at Mixed Greens, to celebrate the opening of Sonya Blesofsky's Tenement!